Today, like yesterday was pretty good. My energy levels were higher and can’t complain at all. Dinner: Vegetable stir fry with Vanilla Fresh Shake. I’m feeling pretty good. Not as tired at all. I’m sleeping well too, which I’m grateful for because that can be a challenge. I’m also happy to report that I’m down another 1.8lbs. Now just waiting to see my final numbers in the morning. It’s the first day of October, my favorite month of the year! Why do I love October so much? Partially because it’s my birthday month, but also because it is one of the most beautiful months in the year. The leaves change and you really have an opportunity to experience all of the beautiful colors found in nature. I know, I know, the fall season officially starts in September, but it really doesn’t seem like it’s here until October. I’m also excited that I’ve also began to see some benefits from my nutrition and fitness efforts. Since I’ve started coaching, I’ve become much more accountable. I have to actually complete my workouts regularly and eat right 80% of the time. I’m not perfect, no one is, but I am able to give my best effort at all times. I recently shared with my challenge group some before and current pics of me and while I felt that my progress wasn’t huge, or significant, they encouraged me, the coach, and let me know that they do see the changes and that I was doing great. That’s the beauty of an accountability group. We are there to push each other when it’s needs. But we also encourage each other when we need that too! And it’s a beautiful thing. 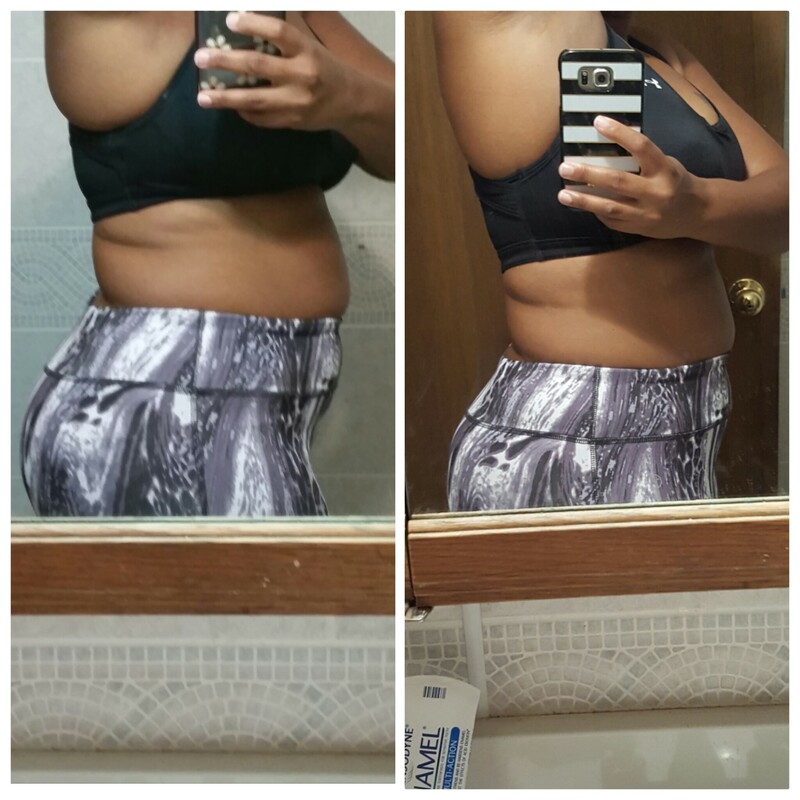 My results are from using 21 Day Fix. 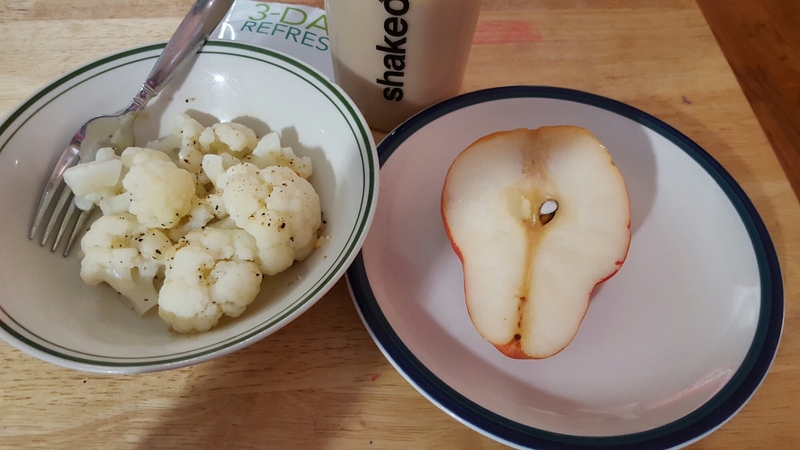 I will say that while I have started P90X3, I am still using the 21 Day Fix eating plan because it’s what works for me. I tend to be one of those people who can consistently lose a half pound to 2 pounds and a half every week. Some people can do more, but with my body, this is what happens. Either I can sulk about that because I see other people who can lose 3-5lbs in any given week, or I can be happy about it and look forward to what that really means for me. There are 13 weeks left in 2015. Obviously what happens from week to week varies because, let’s face it, I’m a woman and my hormones get all out of whack. I sometimes I eat what I shouldn’t, I sometimes retain water, you name it. I’m also strength training so my muscle growth can skew what is really going on. 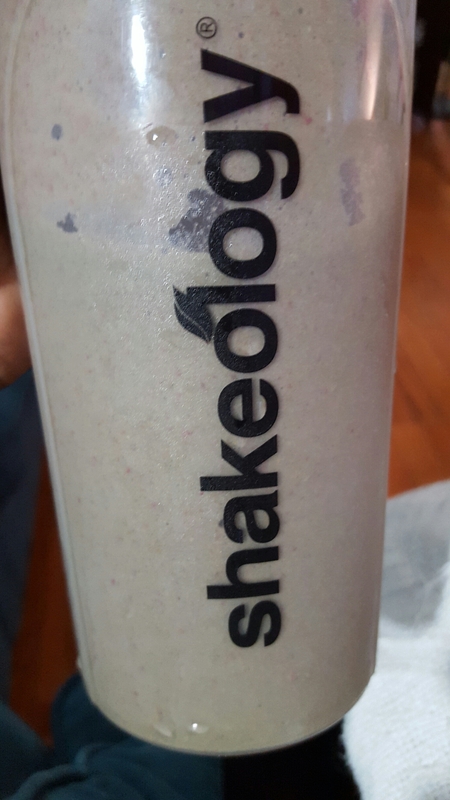 But as long as I continue to move in the right direction, I’m going to be ok.
Another thing that I’m excited to share with you is that beginning today, the program that has helped me get this train moving, 21 Day Fix is this month’s promotion. In this Challenge Pack you’ll get the 21 Day Fix fitness program, Shakeology, and a free 30-day trial membership to the Team Beachbody Club, where you can stream your workout anytime, anywhere. Plus, for a limited time only, you’ll will also get a 21 Day Fix Insulated Tote Bag. For the month of October you’ll get all of this for only $140, a savings of $70 (if you purchased everything individually). 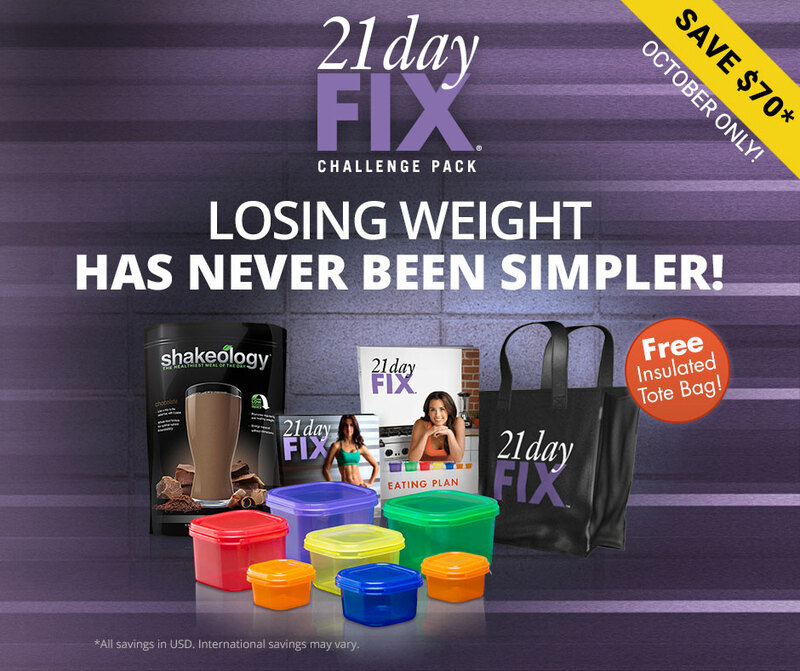 If you’re curious about 21 Day Fix or you’ve been wanting to try it out, the time is now. Click the link below and get started today. Finally, I’m excited because the October Team Motivate Coach Basics Group is starting on October 5th. As I shared before, coaching has already started to change my life because I enjoy sharing my experiences, my ups and downs with others. I also love that I’m able to help other people along the way. Coaching, for me, has gone beyond just health and fitness. I’m here to motivation my group in so many different ways, and I love it. I feel like I’m making a difference in the lives of other people. And that matters to me. If coaching sounds like something that you’re interested in, leave a comment below and I’ll contact you to discuss the opportunity further.